A good essay can really be about anything. As Virginia Woolf wrote in her 1925 essay, ‘The Modern Essay,’ it ‘can be short or long, serious or trifling, about God and Spinoza, or about turtles and Cheapside’. Its wide-range, she argues, means that its success is dependent on two things: the first, the reader’s pleasure; the second, of course, is the essayist’s ability to write, to somehow foster this elusive pleasure. ‘There is no room for the impurities of literature in an essay,’ she claims, ‘Somehow or other, by dint of labour or bounty of nature, or both combined, the essay must be pure — pure like water or pure like wine, but pure from dullness, deadness, and deposits of extraneous matter’. This successful essay, Woolf admits, is a rarely sighted phenomenon, but not before adding that this may be as much a fault of the reader — now grown insensate — as the writer. And, considering Woolf’s essay was written nearly a hundred years ago, it stands to reason that we readers have grown more numb still; I would suggest that the essay itself has also changed in turn. Whether this is simply a matter of increased circulation and visibility, via the internet, or something less superficial, is a question to be examined elsewhere, but the essay-form appears to have become markedly more popular over the last ten years. Much like anything else, essays vary in quality; but a good one, especially online, appears to generate heat and currency quite dissimilar to that of a novel, for example. 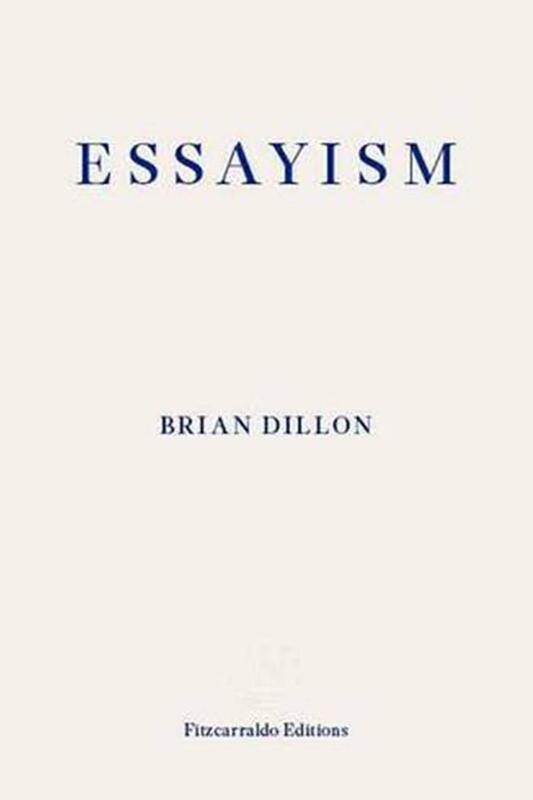 Backtracking on these thoughts, but still I think continuous with its drift, Brian Dillon’s recently published Essayism is a self-reflexive account of the essay — a form, at its best, which he describes as ‘at once the wound and a piercing act of precision’. Familiar with Dillon’s writings on art for many years now, this book is marked, characteristically, by moments of critical precision; but most effective and most true, I think, is his transmission of a self made, and continuously self-forming, in prose. That this process has not been clear cut, oftentimes wracked by uncertainty and disquiet, is par for the course. There is much to admire within Essayism: in particular, Dillon’s manifest erudition, his vigorous defence of style, and indeed his chutzpah in even taking on the protean subject of the essay — here detailed, from the very get go, via a one-and-a-half-page list that demonstrates the dizzying capaciousness of its form. (‘On the death of a moth, humiliation, the Hoover dam and how to write; an inventory of objects on the author’s desk, and an account of wearing spectacles, which he does not…’) Following this extended list, which makes reference to famous, not-so-famous and indeed invented essays, Dillon then readies us for failure: ‘Imagine a type of writing so hard to define its very name should be something like: an effort, an attempt, a trial’. This strategy foregrounds Dillon’s embrace of ambiguity and failure; his particular understanding of the essay as something that shirks encapsulation, tends towards multiplicity and in so doing, as far as I understand him, is caught in a game of ceaseless autopoiesis. This prompted a particularly stubborn question: why try to define it at all? Do I really need to read Brian Dillon writing about essayism, when I can ascertain its breadth and capabilities in reading a range of essays for myself? At times, even Dillon appears unconvinced. Throughout this short book, he peppers sections on famous essayists with various permutations of the phrase: ‘that would — what, exactly?’ This ‘ —…?’ trope has the effect of stylising, and even justifying his tendency towards indeterminacy, but on a more basic level simply resembles a tic that self-consciously performs indeterminacy. Such prevarication is clearly intentional, and introduces a useful circularity to his thesis: namely, I’m unsure of myself in accordance with the subject, rather than because of any personal ineptitude for logic or argumentation — despite admitting as much towards the end of the book. Additionally, this effect is conveniently redoubled in Dillon’s reticence towards polemics — ‘I can’t believe in a writing that is forcefully only itself’ — instead prioritising an essay that is ‘diverse and several — it teems’. Dillon appreciates a ‘sidelong approach’, in contradistinction from polemics and aphorisms, the latter of which he memorably describes as ‘immovable prose monuments’. I share some sympathy with Dillon’s sensibility; but nonetheless his is one that increasingly resembles a contemporary bromide or even doxa. I am also left unsure as to how any writing can be forcefully only itself, or how any writing cannot but admit multiplicity. I couldn’t help asking: what is it, for Dillon, that makes writing only itself — argumentation, politics or some wider purpose? This defence of unstable multiplicity finds its maddening apex in a late section on Susan Sontag (‘On talking to yourself’) where Dillon, somewhat bizarrely, strong-arms her posthumously published diaries so as to bolster his working model of essayism; in her best-known essays, Dillon goes so far as to speculate that she was ‘frightened’ of style. I would disagree with this: such essays simply have a stylistic “about-ness” that resists Dillon’s account, which is after all only an account of his particular, literary sensibility. To mine, grappling with Sontag’s essaysism means to be faced with a surety of tone — given expectedly anxious cadence in her diaries, to be sure — alongside a generous and rigorous approach to popular culture. More than anything else, though, it is to be situated in a specific time and context. This interpretation is fruitless for Dillon’s account of the essay, which is steadfastly formalist and anti-materialist; consequently, in his treatment of her, Dillon appears hellbent on reaching a wishy-washy conclusion, despite the richness of output that would have reached precisely the opposite point. Most irksome, perhaps, is the implication that Sontag was somehow a secondary player in her own prose; namely, that she did not know how to write as she wanted; or, more precisely, that she did know, but was unable to do so. This casts Dillon as her unlikely saviour, apposite to rehabilitate her — via her private and personal diaries. But it seems to me that Sontag doesn’t quite fit into Essayism’s mould; a better tack may have involved attending to this, instead. To return to the question of history, it should be said that Essayism does not claim to be anything like a history of the essay. This is all well and good. It does not track the form’s evolution, and each point of reference is presented similarly, in a kind of ahistorical formalist amber. History, in fact, does not really feature at all; in his reading of T. J. Clark, however, this struck me as wrong-headed, Clark’s magisterial The Sight of Death being as much a meditation on the dialectic of politics and sight as it is on the question of attention (Furthermore, there is a definite irony to a segment on attention being one of the shortest and least satisfying in this book). So instead of history, what we have with Essayism is an unmoored reverie on the spirit of the essay, essayism, which denotes a kind of mental and linguistic curiosity: the ability, as Dillon beautifully puts it, to ‘write while writing’. The book is structured into small chapter-forms, with the title printed slightly larger at the top of the page; and, because there is no table of contents, it asks to be read in the order in which it is printed. Each segment — better still, fragment — works separately but towards a greater whole; each, as Dillon describes the fragment at another point, ‘stands alone but speaks or must be made to speak by a reader, to the fragments that surround it’. This strategy is largely successful. Dillon’s study is a self-reflexive one: it is through the work of essayists or crushes like William Gass, Joan Didion, Elizabeth Hardwick, Woolf and Sontag that he is measuring and ‘assaying’, working to articulate his own priorities and allegiances. For better or for worse, the history he enfolds into this book is his alone. Interspersed between some extremely enjoyable and incisive segments — taking his scalpel to a single comma of Hardwick’s, in particular, is exquisite — Dillon introduces something of his own life; his experiences as a young man in the wake of his parents’ deaths, and his lifelong negotiation with depression. Some of these segments play better than others. In one brilliant aside, about mid-way through the book, Dillon describes an early hours walk home with a friend through Dublin, just before he left the city for good in his late twenties. His companion, he writes, would insist they take a detour so as to see ‘a chance combination of street lights, rain and broken glass…a constellation of points in the near-dark that remade itself with every second, tiny stars and others being born as we moved through the field’. This is unequivocally beautiful, and followed by an even more beautiful and affecting jolt of self-awareness: ‘I remember thinking: I wish I were the sort of person who notices such things, unprompted’. 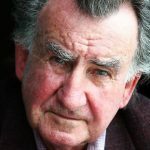 This, perhaps unintentionally, gets to the heart of one matter: at times, Dillon’s personal observations appear forced, hampered by ‘a slight sense of quotation marks,’ to borrow a phrase from Janet Malcolm, such as when he recounts living in Margate with the somewhat hysterical, ‘I took to escaping to my basement car park to smoke cigarettes and wish my neighbours dead’; at other points, he slips into cliché (he devotes himself to minor journalistic jobs to satiate existential dread; he writes from ‘out of the fog’). These moments give some of his personal reflections a dint of the rote and obligatory, of either being rushed out, or of being somehow uncommitted — wavering, uneasily, between straight-up autobiography and criticism, with the latter being a more comfortable fit. As Dillon himself surmises: ‘I want control, and I want to let go, but neither in itself is art, and how on earth do you find a way between to direct all of this ecstasy and ache? And still not lose it?’ On a formal level, this question does not appear fully solved in Essayism; but perhaps, once again conveniently, this is precisely the point. 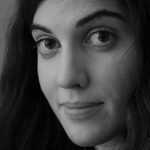 Rebecca O’ Dwyer is an art writer and critic, and editor of online artwriting platform, Response to A Request. 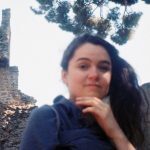 She recently completed PhD studies at the National College of Art and Design, Dublin, writing on the conditions of contemporary art criticism.